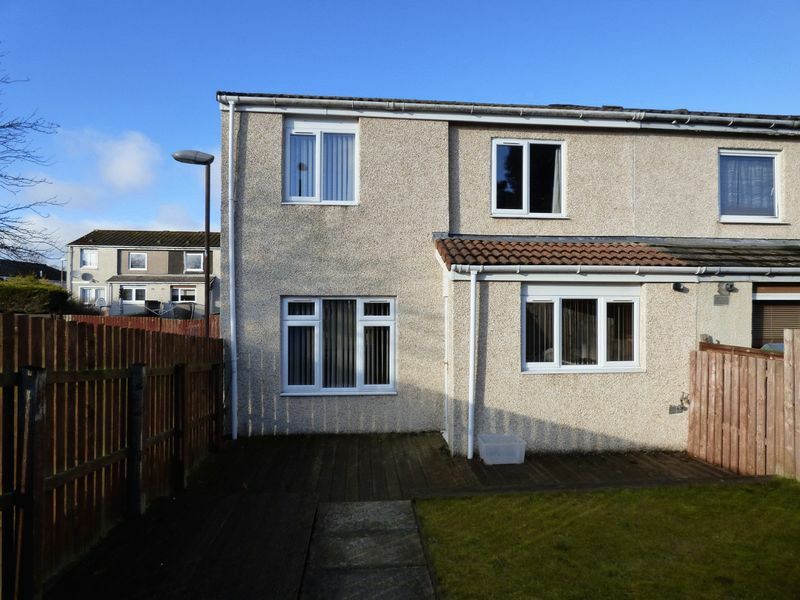 Alba Property are delighted to offer to Market this well presented and spacious 3 Bedroom End of Terrace family home in the ever popular Clement Rise in Livingston. 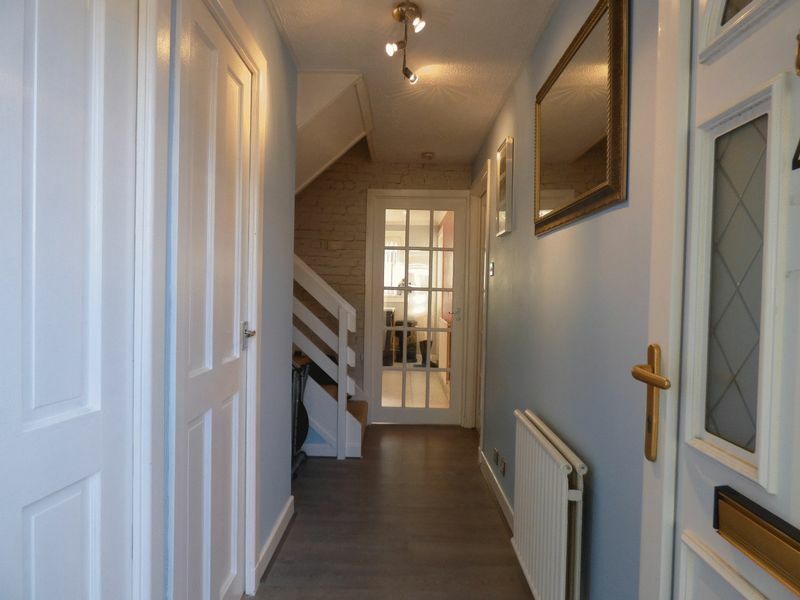 The property is entered into a welcoming hallway with large storage cupboard and cloakroom off, there is a dual aspect Living/Dining Room and a spacious kitchen, upstairs you will find 3 double bedrooms, a large storage cupboard and the family bathroom. 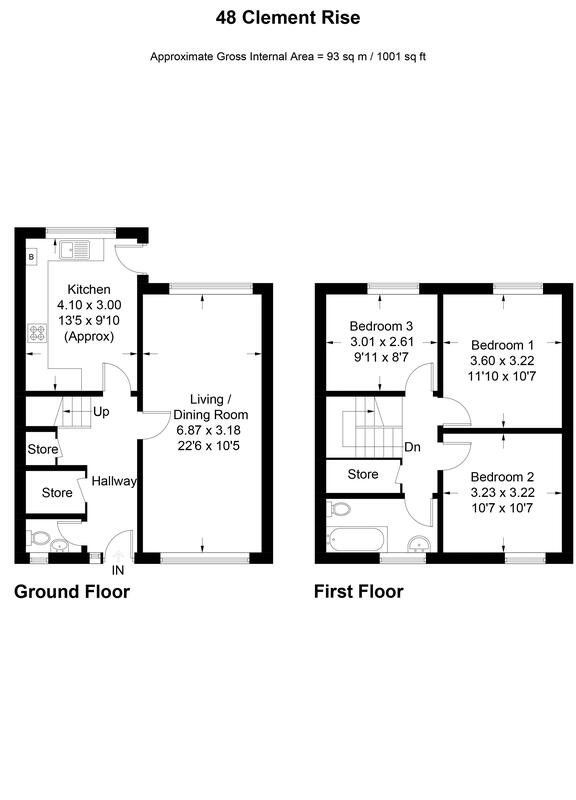 Externally there is lawn and paving to the front and decking and lawn to the south facing rear garden. 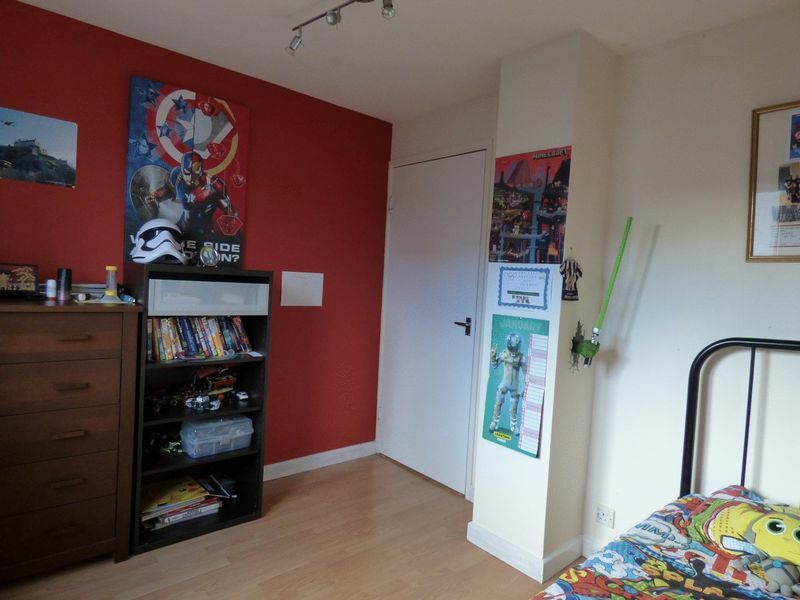 Get in quick to View! 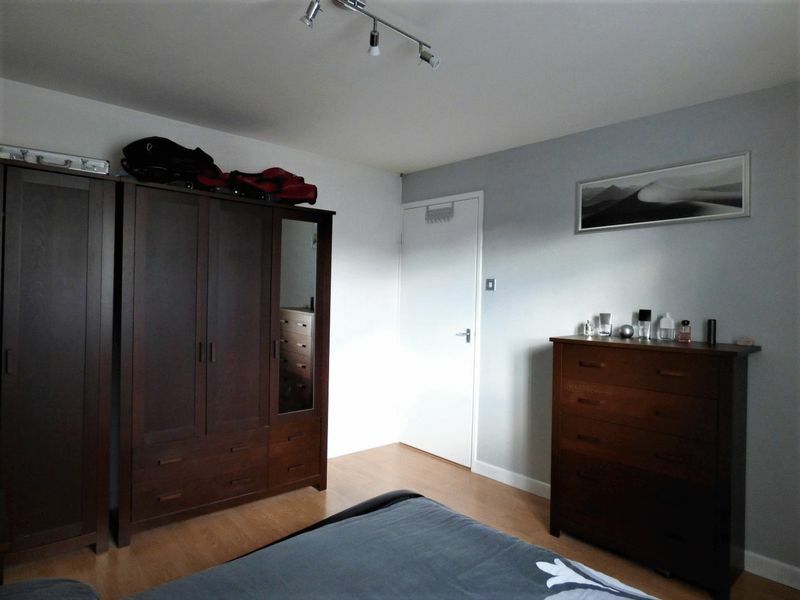 The property is entered via a part glazed UPVC door into a welcoming hallway which has neutral decor and laminate flooring, white doors lead to the cloakroom, large storage cupboard and under stair cupboard. 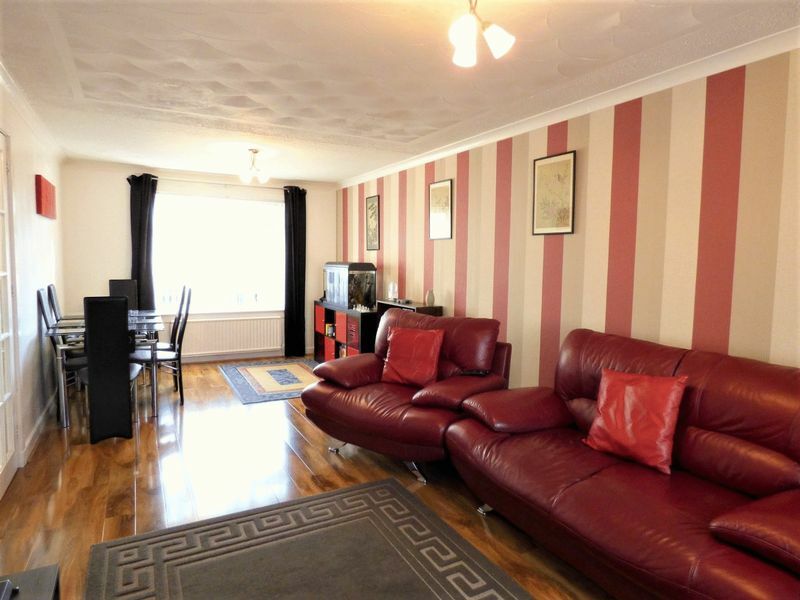 There are glazed doors leading to the Kitchen and Living Room. 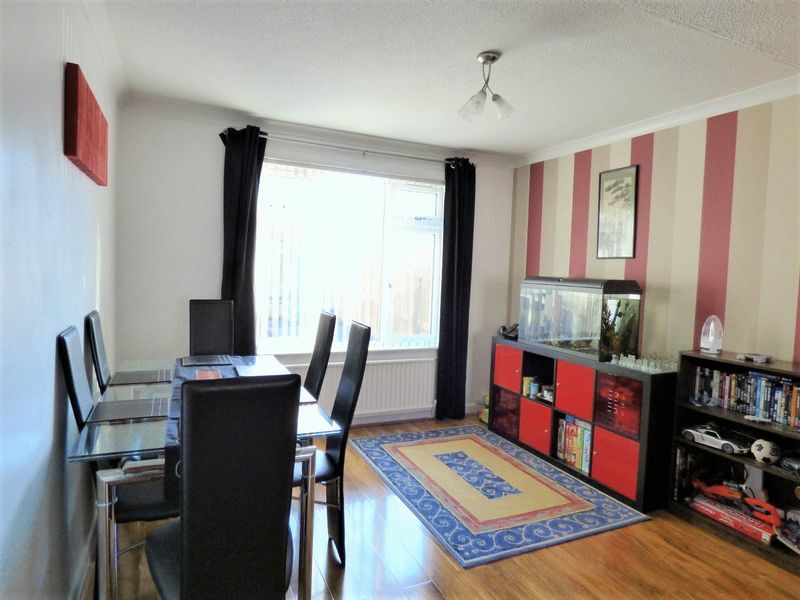 This dual aspect Living/Dining room is well presented with feature papered wall, laminate flooring and there is ample space for both Living and Dining furniture. 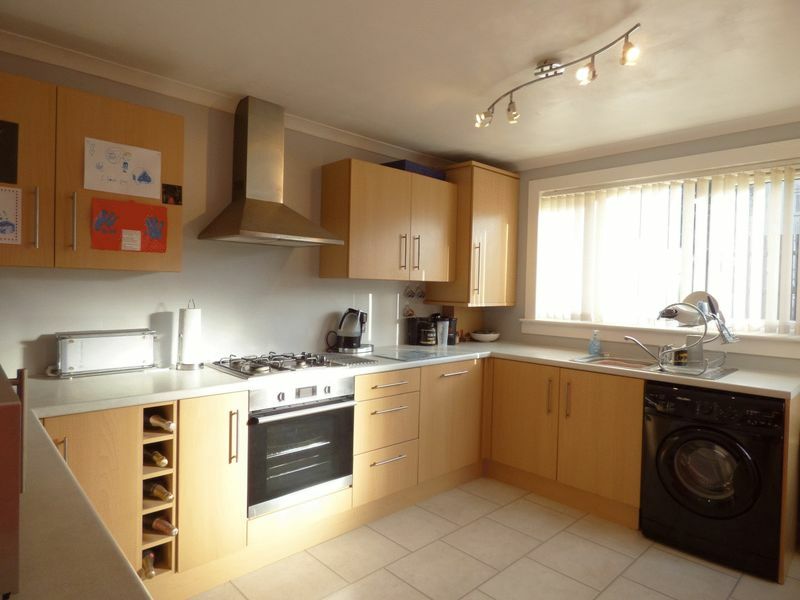 This spacious kitchen benefits from a good range of wall and base units, there is an electric oven and gas hob. 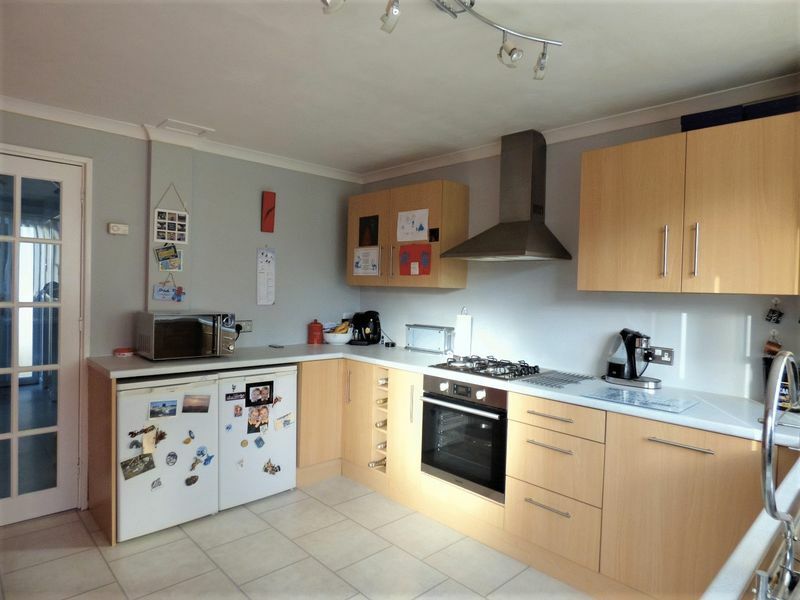 There is an integrated dishwasher and the basin overlooks the rear garden. 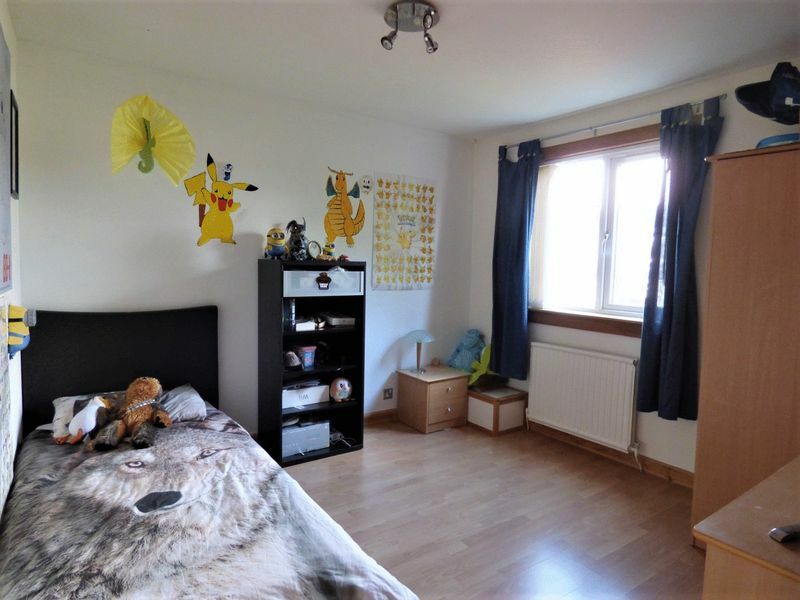 The decor is neutral and there is laminate flooring. 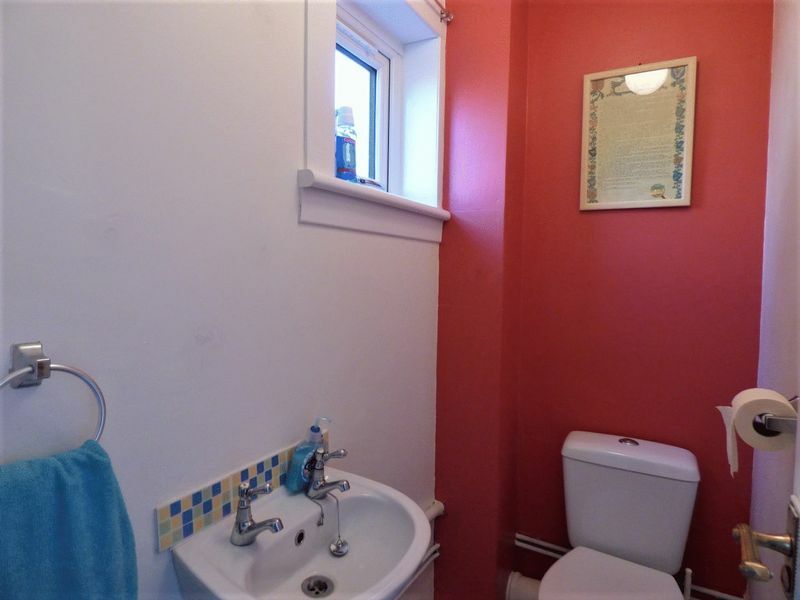 The cloakroom is well placed and benefits from WC and wash hand basin. 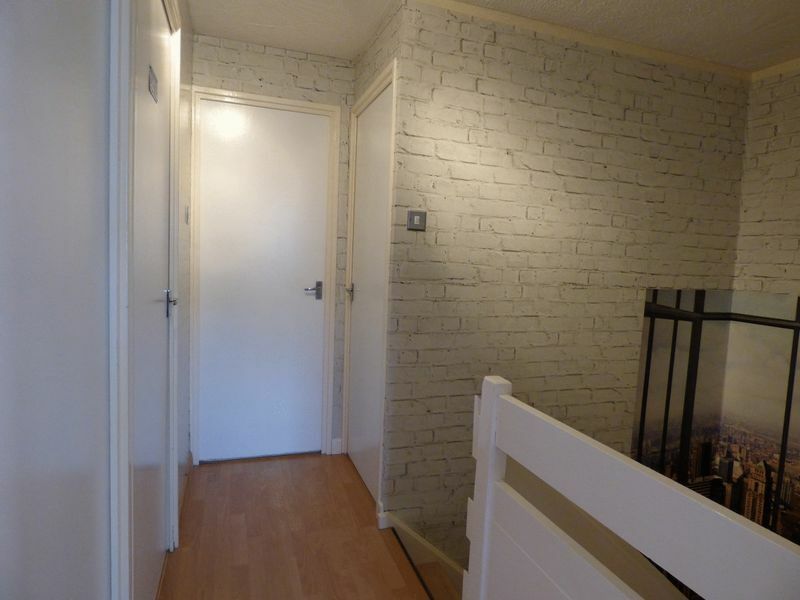 Decor is neutral with feature painted wall. 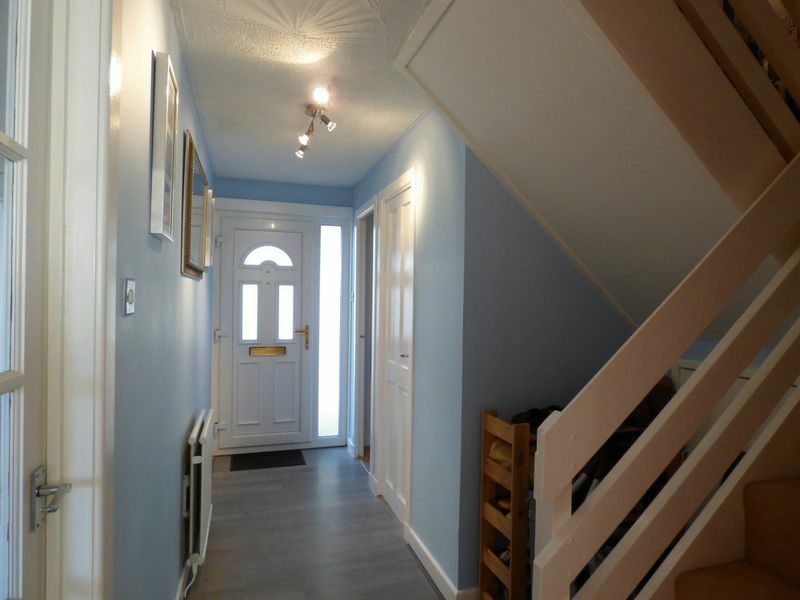 The carpeted stairs lead to the upper landing where there are doors to the bedrooms, bathroom and a large storage cupboard. There is a ceiling hatch for access to the loft space. 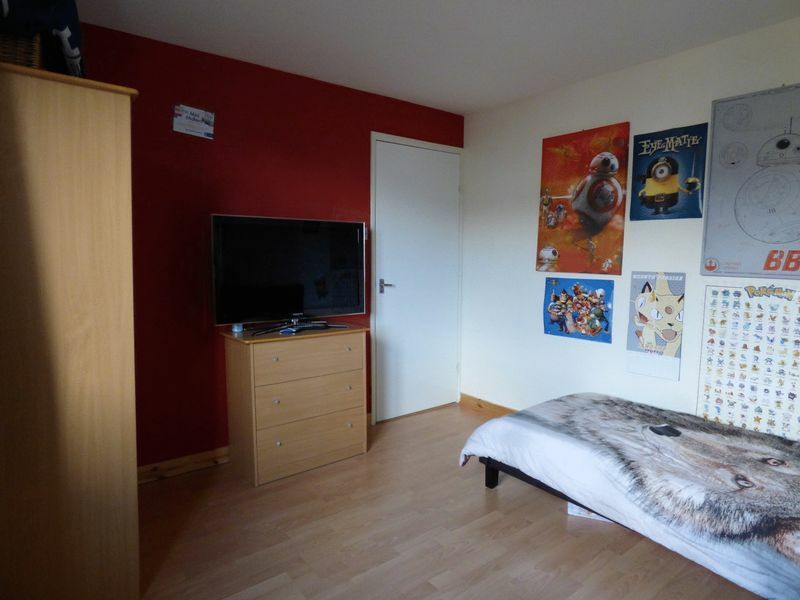 A good sized double room with laminate flooring and a feature papered wall and neutral decor. 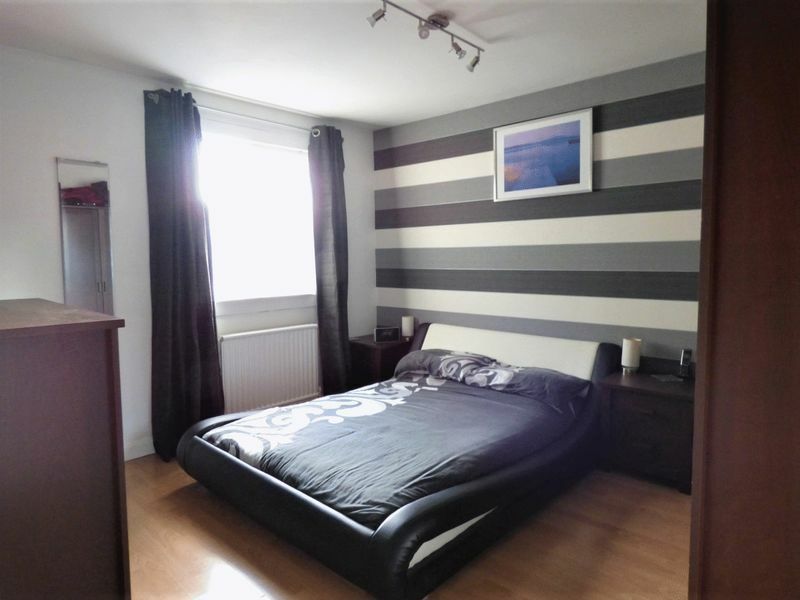 A second double bedroom which again has laminate flooring and neutral decor. 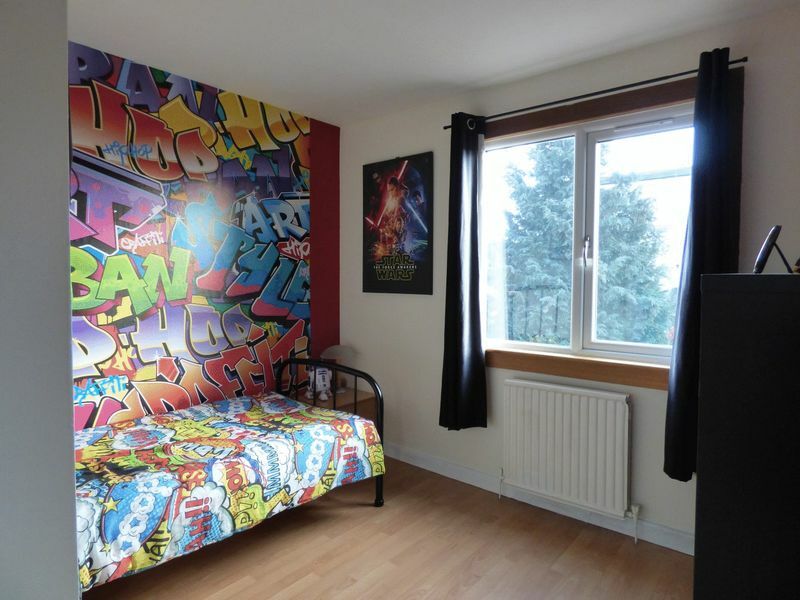 The third bedroom is a good size and has laminate flooring and a feature papered wall. 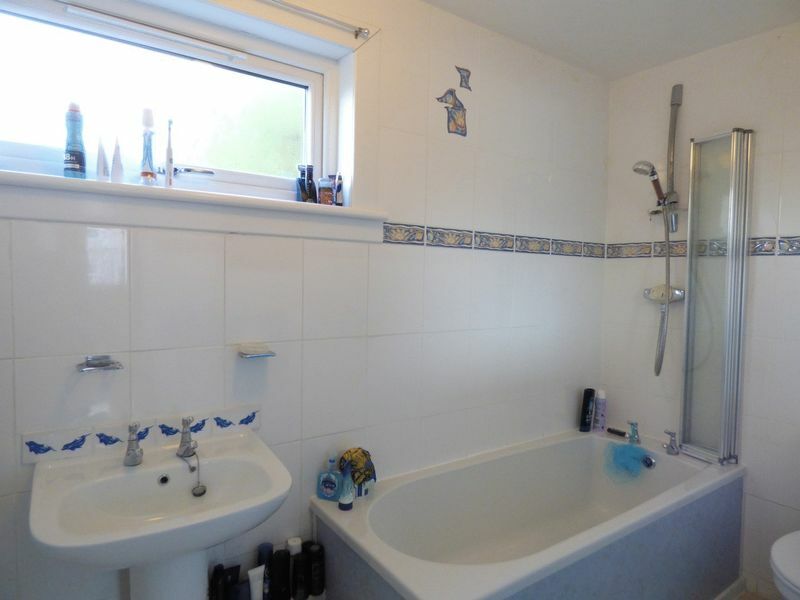 The bathroom benefits from a 3 piece suite of Bath, WC and wash hand basin. There is a mains shower over the bath and there is a glazed screen. The flooring and walls are tiled. 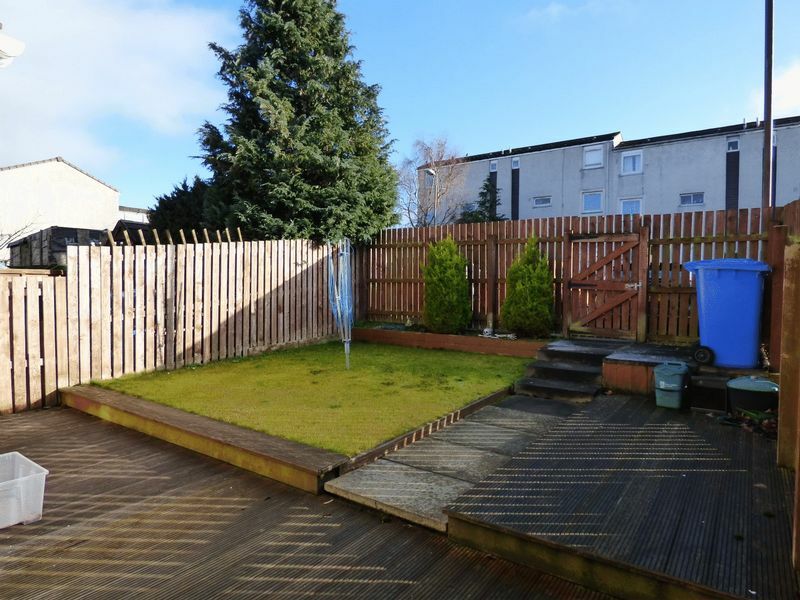 To the front of the property there is a lawn area, patio area, paving and decorative stonechips, the rear garden benefits from decking, lawn and paving. 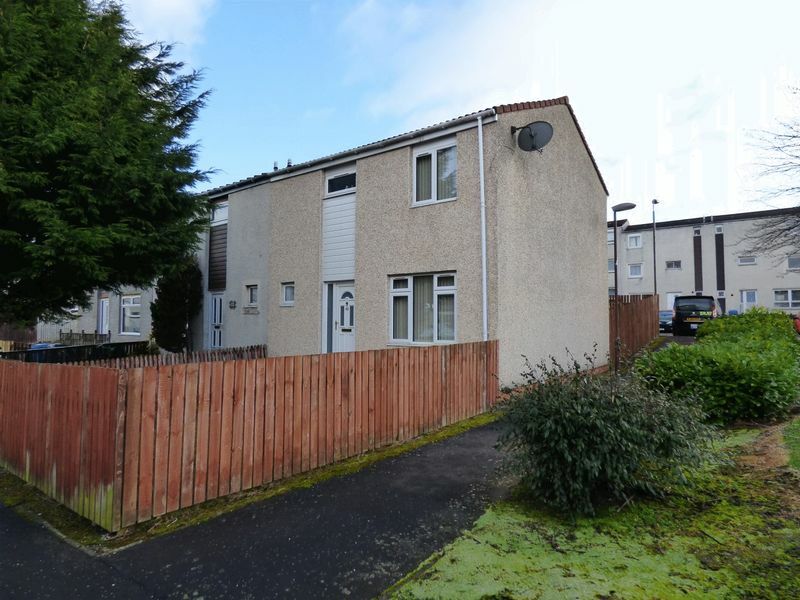 There is communal parking to the rear of the garden and nearby.